Do you know around 2 million blog posts are getting published every day? Yes, even more than that. But how many of those perform well? Definitely majority of those don’t perform well as per search engine point of view. To do well in search engines, you need to write SEO friendly blog posts. Yes, seo friendly blog posts don’t only mean keyword stuffing. SEO friendly blog posts have many more than that. 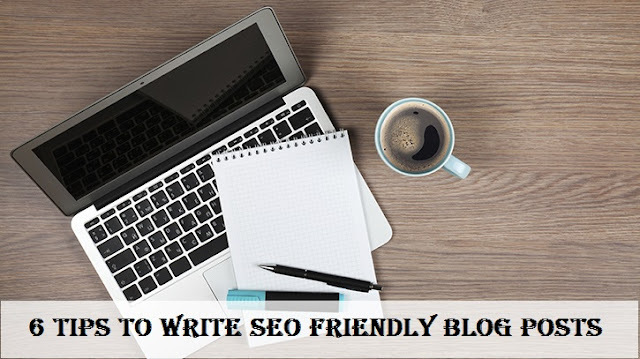 In this post, I will talk about how to write seo friendly blog posts. What all factor you should consider to write a seo friendly blog post. Here are the list of few points using which you would be able to write SEO friendly blog posts. This point is important from both SEO as well as reader point of view. You should convey your message to your readers very efficiently. Write blog posts in such a way that it can be read easily and also fulfill the aim due to which it has been written. Write a post having around 700+ words so that search engine can prioritize that and also where message can be conveyed easily. If your post is having more words, you can insert keyword easily and can be targeted well for search engines also. Yes, breakup the sentences in to small sentences. This makes the blog post easy to read and understand. If you will write long sentences, it leave not so positive impression on the readers and also search engines don’t like much. Properly use heading, sub heading and paragraph with bold words, italic words etc. These cautions help you to understand your reader well and also with these sentences length can be reduces. If you are still not sure, then you can write something like this. “First I will discuss about this and then will share an example to make it more understandable” and then will ask your feedback. Also, write eye catchy headlines. You can take help of these free title generator to write blog post headline. Search engine loves the site which are getting refreshed frequently. Here refresh means those site where contents are getting updated/added very frequently. Search engine treats these site active and give preference to those. Also, fixed interval is very important. You should not write 4-5 blog post in a day and won’t write any post for next 3-4 days. Better write a post every day or alternate days. If you are unable to write for your blog, you can hire freelancers from these top freelancers sites as well. Yes, interlinking blog posts are very important. This tells the search engine that you are giving proper information and reference to your readers. Also, this leave positive impression to your reader as they get some more reference to the topic you have written. Add wherever required external links as well. If you are writing any article and have come across any keyword on which a detailed article has already been written on some good site, don’t forget to add that as a link. Yes, you can give that as nofollow if you like but don’t forget to add external/internal links to blog posts. This makes seo friendly blog posts. Now a days, Google Images are also one of the great source of traffic to the websites. Yes, there are millions of search done on Google image on daily basis and if you will optimize your images well then you can pull good amount of traffic every day. To optimize your image, use keyword as the image name, add keyword in title tag and alt tag as well. Also, keep your image of small size so that your website loading time will not increase which is another important factor of SERP. Yes, social signals are also considered as an important factor of SEO. 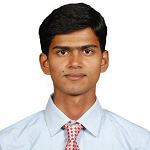 Search engine give preference to the article which are having good number of social share. Even now, Google shows real time tweets as a search engine results. So have the social share icon on your blog page so that if the user want, they can share immediately. Also, appeal to user anywhere in the article to share your article. These were some of the important tips to write SEO friendly blog posts. I am sure if you will follow these tips, you would be able to write SEO friendly blog posts. If you liked this article, please consider it for sharing on social site. Also, do let me know if you have any good point using which we can write seo friendly blog posts.